This book provides practical background information and teachings on meditation primarily for a Western audience. Through meditation, compassionately focused actions, and group sharing the Heart centre is awakened and Bodhicitta is manifested. For this to occur the development of wisdom is essential. The associated process concerning the path of Initiation into the Mysteries of being/non-being, and the planetary Head centre (Shambhala) shall be provided. 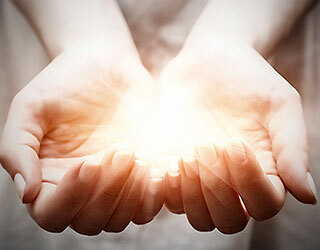 The subtleties of the Initiation path will be revealed through an esoteric interpretation of passages from the Bible, as the New Testament constitutes a major text on this subject. This philosophy is complimentary to the Buddhist foundation presented in the previous volumes of this series. This is a review of A Treatise on Mind, Vol. 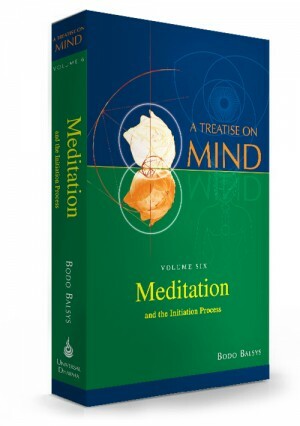 6: Meditation and the Initiation Process, by Bodo Balsys. To begin with, this is the first book I have read from this author. I started with Vol. 6 because I was interested in furthering my study of meditation, and I think it is a fine place to start. I have very much enjoyed ruminating over the contents of this volume, and after only a short time my copy is already well worn and chock full of highlighting, notes, and tagged pages. I have found this book to be eye-opening on many levels. From an academic standpoint, it is a well-researched and well-written work of scholarship which analyzes and builds upon ideas from several different philosophical and theosophical sources. The author encourages the reader to engage with him in a dialectical examination of current Buddhist doctrine, and in doing so, he elucidates and expands upon many concepts which remain cryptic and heavily veiled in classic spiritual texts. The text also presents a detailed and fascinating synthesis of Eastern and Western thought. Simultaneously, from a psychological standpoint this work presents a complex study regarding the nature of consciousness and the interrelationship between the human mind and the phenomenal world. Above all, however, this text is hands down the most practical and no-nonsense meditation guide I have come across. In my opinion, two things really make this text stand out among others. First, it approaches the practice of meditation from a contemporary angle. The author acknowledges the fast pace of modern life and emphasizes the development of inner stillness through regular meditation, while remaining outwardly active in the hustle and bustle of everyday life. Second, the text presents the path of meditation as inseparable from a path of compassionate service to others. At its core, this text espouses a humble life of selfless service, of group endeavor focused upon truly compassionate undertakings and the elimination of ego-posturing. As such, it is not only a meditation guide, but a guide to living in general. In my opinion, this book is a treasure trove of wisdom and has much to offer to anybody with an open mind. Although the subject matter is sometimes complex, the author is able to explain difficult concepts in a very clear manner. Personally, I found this book to be quite a page-turner. To the beginning and advanced meditator alike, this volume should serve as a comprehensive guide to every level of practice. Also, and importantly, this text brings attention to and discusses in detail the myriad pitfalls and glamours sometimes encountered in other teachings. Simply put, for the dedicated student of meditation this book is an indispensable resource, and even for the casual or curious reader I imagine it would be difficult to read this book without gaining at least some measure of wisdom or compassion. As an aside, to any fans of Douglas Adams, it should be noted that the answer to life, the universe and everything can most likely be found somewhere within the pages of this book. And no, I have no affiliation with the author or the publisher, nor did I receive any remuneration for this review. In fact, this is my first Amazon review ever, and I was moved to write this review simply because I think the world would be a better place if everyone read this book. I look forward to reading the other volumes in this series, and many thanks to the author and everyone who helped make this material available to the public.